The real reason Directional Tires have such a dramatic and eye catching tread pattern, is that tire engineers used strong V-shaped grooves to design a tread pattern to resist hydroplaning on wet roads. Those deep grooves evacuate road water by forcing the water from the middle of the tire, at the point of the V, to the sides of the tires where it is expelled. That helps keep your tires firmly on the road instead of floating above it on a thin sheet of water. The good looks are a nice side benefit. In general, directional tires provide improved handling when compared to traditional tread patterns. The V-shaped directional tire pattern not only expels water, but it also helps to keep traction when driving on sand, gravel, and loose dirt. It is particularly important for wide tires, with their wide contact patch on the road, to come with an anti-hydroplaning design. However, the look of that V-shaped directional pattern turned out to be so popular those directional tread patterns can now be found on slimmer tires as well as wide ones. The appeal is one of strength and power, and many people purchase them for exactly that look. Drivers benefit from wet weather safety, but they tend to be happy to dress up their vehicles as well. 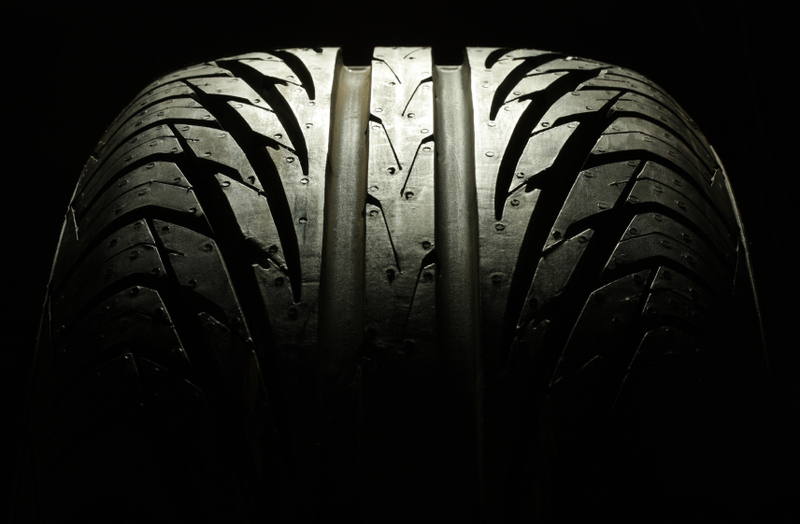 Every directional tire has a picture of an arrow on its sidewall pointing to the front of your vehicle. To see it correctly, roll the tire so the arrow is on top of the sidewall. Sometimes the word “rotation” is printed by the arrow. Directional tires have their name because it is imperative to mount them with the V pattern facing the right direction. When properly mounted, directional tires function correctly. When mounted in the wrong direction, they are dangerous. If directional tires are installed backwards, they would be inclined to skid on street water instead of evacuating it. Directional tires are also called unidirectional tires, again to emphasize that they must only be mounted facing the correct direction.